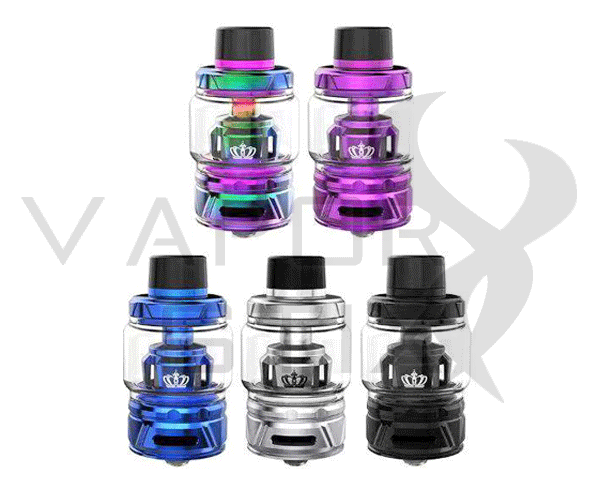 The Aspire Cleito 120 Sub-Ohm Tank represents the power evolution of the classic Cleito platform, emphasizing on a high-wattage, performance oriented structure with the new 120W-capable Aspire Maxi Watt system, full coil chamber design, and 4mL with top-fill method. The chassis of the Aspire Cleito 120 measures 25mm in diamter at the base with effective upgrades across the board. 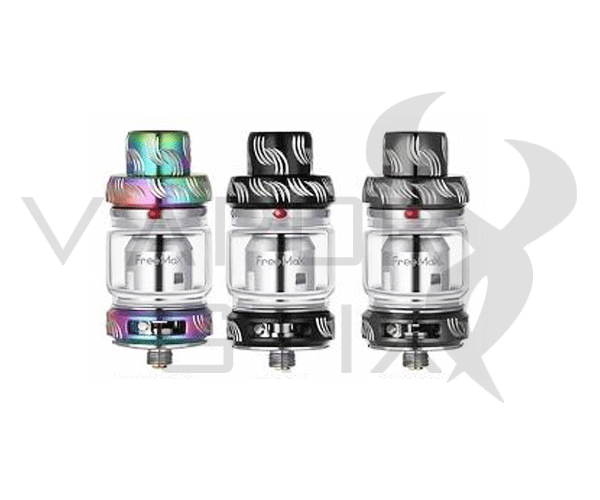 The improvement in the threaded top-fill with a dependable gasket seal help prevent leakage while refilling the large 4mL juice reservoir. Airflow is increased with an addition of one more airslot for a total of triple airholes, fully adjustable with each measurng 11mm by 2mm. The new Aspire Maxi Watt coil system maintains the full chamber, chimney replacing design through the barrel that provides extremely rapid and effective airflow delivery. 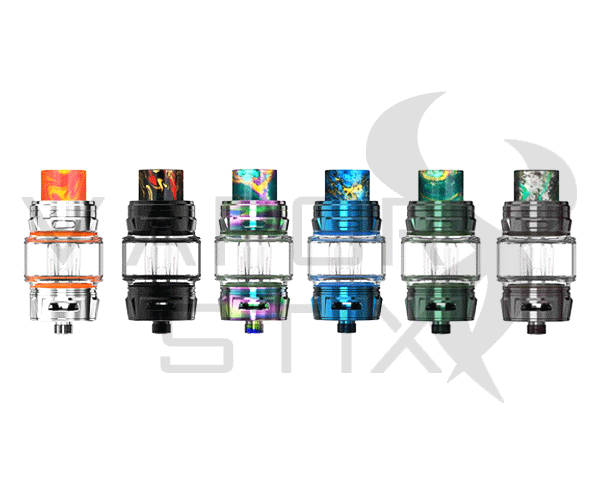 The wicking system features a clapton structure, surrounded by the rapidly absorbing cotton wicking material, rated 0.16ohm with class-leading output of 120W. A performance upgrade of Aspire's original Cleito apparatus with the inclusion of a distinctively unique coil structures, the Aspire Cleito 120 Sub-Ohm Tank offers a well-rounded platform with tremendous versatility. 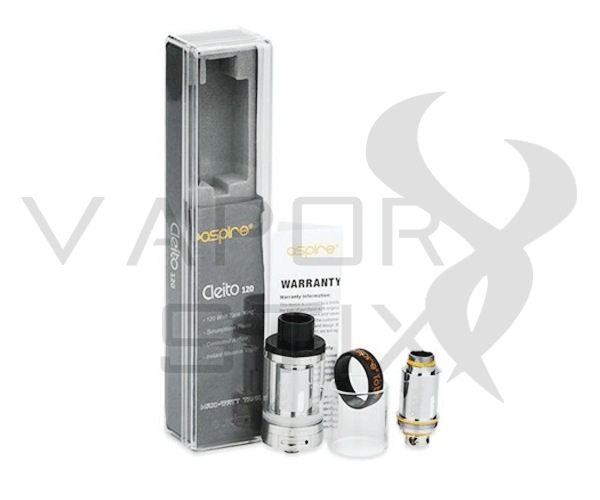 Check out the Aspire Cleito 120 Replacement Coils here.